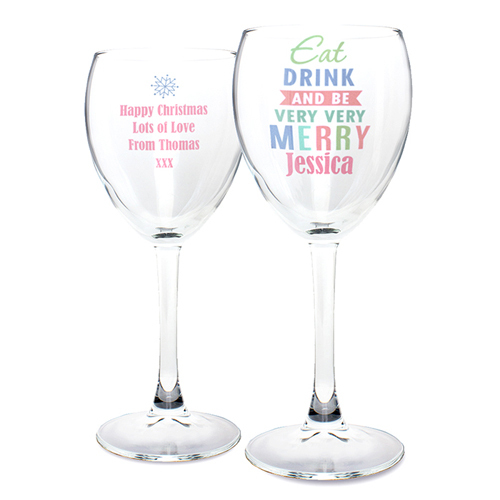 Bring some festive fun to the table top with this wine glass. Personalise with a name on the front up to 12 characters and a message on the back over 4 lines of 20 characters. 'Eat DRINK AND BE VERY VERY MERRY' will be fixed text on this item.